No more of this stuff! 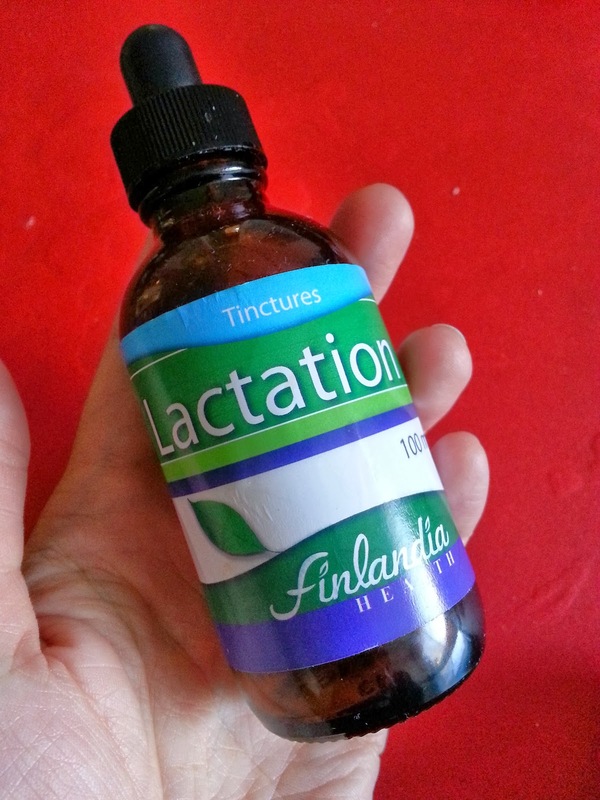 In my somewhat epic quest to make enough milk to exclusively breastfeed my child, I turned to herbal supplements (among other things--more on the other things here, & also here). I have been taking such odd-sounding things as Moringa, Goat's Rue, Alfalfa, Blessed Thistle, Nettle, etc, etc, etc for about six months now. (Nope, my math isn't off, I started a month before baby was born) One way I took the herbs has been in tincture form, using an eyedropper to measure out a small amount three times a day, sucking back the slightly disgusting tasting brew & hoping for the best. I wish I knew if the herbs really did help me--they were bloody expensive enough, so I am going to choose to believe that they did. But there comes a time when, whether you think they're helping or not, you've gotta wean off the things. So I decided a while ago that this would be my last pricey little bottle of the stuff from the herbal dispensary. I lowered the dose every week or two until there were just a few drops left in the bottle & (drum roll please) I took my last dose yesterday. Weaning off the tincture doesn't seem to have negatively impacted my supply & I'm still extremely proudly making all the milk my baby girl needs. I'm not completely done with all the interventions: I'm still taking Domperidone & occasionally Moringa (that's more of a dietary supplement & has lots of calcium, so I'll probably keep chucking it in smoothies & yogurt). I'm also pumping about once a day & feeding her a little extra pumped milk in the evenings. But I am now one step closer to simply breastfeeding without any of the extra complications, so I'm celebrating.